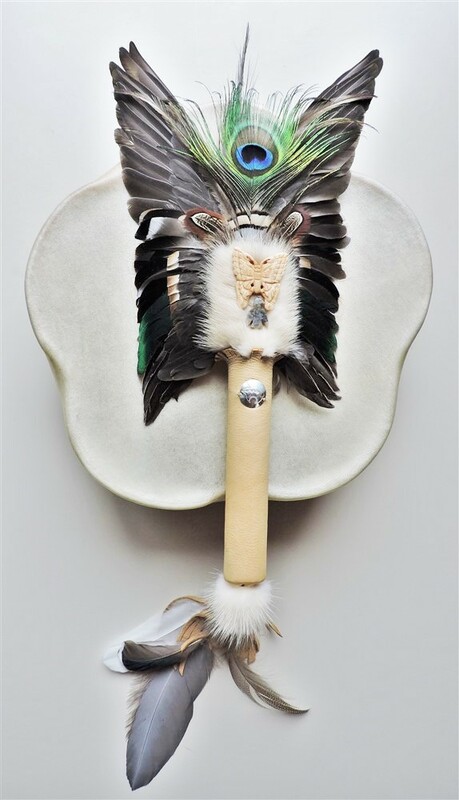 Maybe you remember the post from about a year ago, when I found the frozen little Green Winged Teal / small female Duck and promised her, to use her beautiful wings well, to make a smudging fan to honour her life. Yes, there was the “Big Flood” Water was EVERYWHERE – and the animals had nowhere to go and were in danger of drowning. Here in North America it is the Muskrat, that dives down to the primordial bottom to bring back up a small piece of mud that then was spread over the back of Mother Earth the Mighty Turtle. Among my Siberian ancestors and for my Family Clan this important job was accomplished by a small Duck, that then subsequently was allowed to reside in the Sky World and was forthwith known as Ee;ren Ödürek. 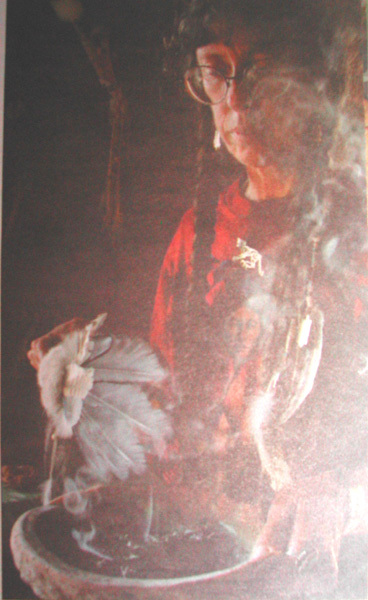 Since then Duck feathers are highly regarded as preventing misfortune and calamities. Deer Leather: Ghülbüz lives in the dawn of the East, greeting the Sun every morning. At the shrine of Sequana, at the source of the River Seine in the Dijon area of France, ancient Celts came to seek healing dreams in the sacred night. Cloaked pilgrims journeyed with their offerings, which included models of the organs that needed healing, carved from oak or stone. They bathed in the sacred spring, prayed to the goddess, and placed their offerings beside a sacred pool. They entered a long portico or dormitory, hoping that in the night – during sleep or in the twilight state between sleeping and waking that the ancients knew is especially propitious for contact with the more-than-human – the goddess Sequana or her emissary would appear to them. We know the name Sequana from nine inscriptions found in the area. It has been suggested that it means “The Fast-Flowing One”. 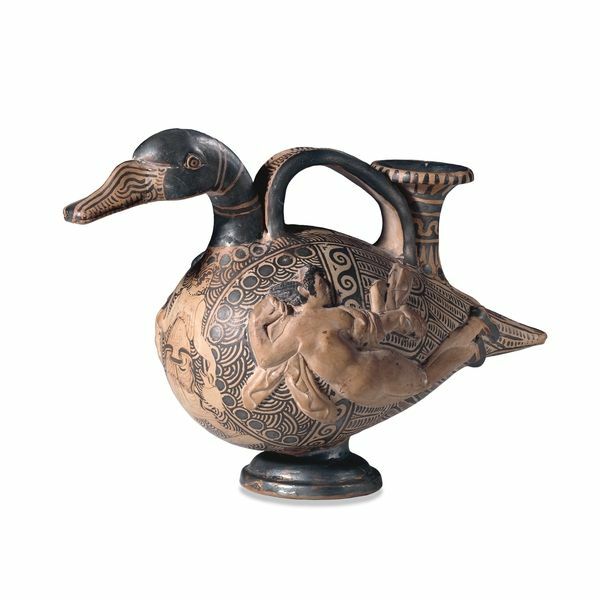 Sequana is the goddess of the River Seine, which flows through Paris, and (according to Strabo) was the patron of the Sequanae, a Gaulish tribe in this region. 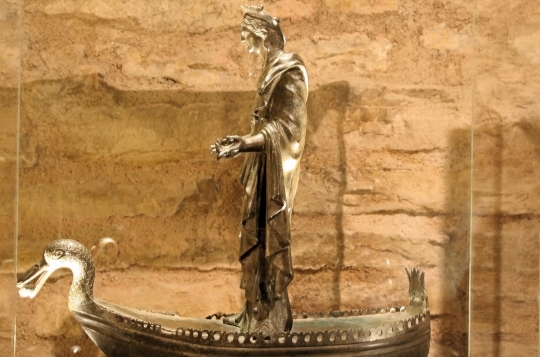 Her special companion animal is the duck, and in a statue now in the Musée archéologique de Dijon, a crowned Sequana is depicted riding in a duck-headed boat. What happened to this great precinct of dream healing in the realm of the Goddess when the Church arrived? One guess. The site was appropriated by the Church and re-dedicated to an invented male, saint, St Sequanus. In reviving the memory of the “Fast-Flowing” Goddess, we take another step towards cultural soul recovery – and remember a healing practice that can transform our lives. 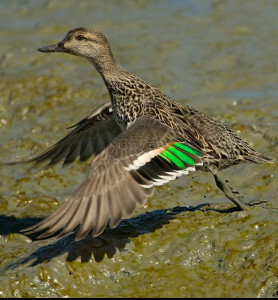 Fly well, Little Duck and Blessings to your species! Within the last 48 hours the temperature had risen from -28 centigrade with howling winds and deep snowdrifts to + 9, with freezing rain, that transformed the landscape into an endless, dull, foggy skating ring. 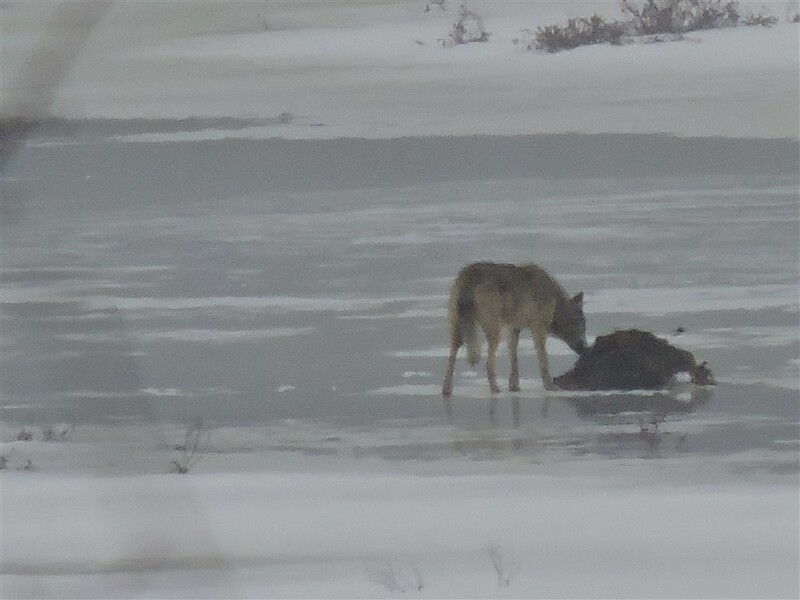 On the other side of the creek, trotting quickly from puddle to puddle over the still frozen ice. Large, a bit skinny, probably due more to the wet fur than malnutrition. 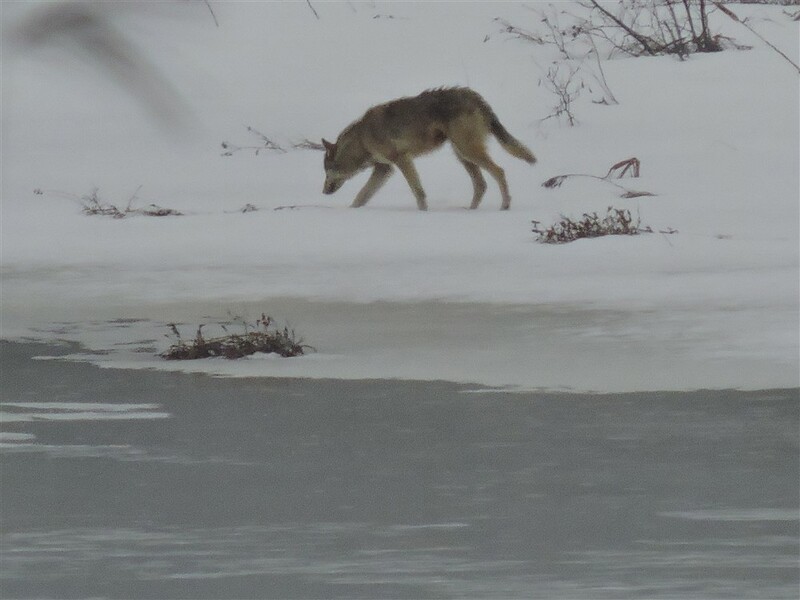 She rolled in one of the last patches of snow – She-Wolves do that, when they are in heat – leaving scent marks, invitations – tantalizing…..
Then she jumped up and ran over to a Muskrat pile that is now protruding through the ice. 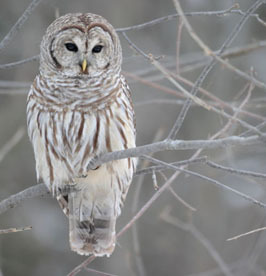 She squatted, peed on it, to make sure, everyone got the message…..
Off to the old abandoned Beaver lodge – repeat task, then loop on – down the creek and into the rolling fog……. May there be pups in the rendezvous site come autumn!